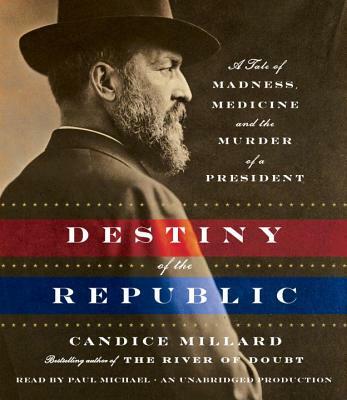 A while back, I completed Candice Millard’s engrossing work on James A. Garfield’s assassination and subsequent medical treatment titled Destiny of the Republic: A Tale of Madness, Medicine, and the Murder of a President. This book fascinates the reader with the unique characters surrounding this president, the president himself, and how awful the condition of medical knowledge and practice was at this point–even for the President of the United States! The British surgeon, Joseph Lister, had already introduced antiseptic theory and practices in Europe at this time; though, he did have a difficult time convincing fellow European doctors concerning the effectiveness of his techniques until the greatly reduced mortality rate and overall cleanliness of his hospital forced them to admit its usefulness. American doctors–since they did not see its effectiveness with their own eyes, I suppose–persisted in old methods, refusing to believe in germs. In the case of James A. Garfield’s death, this work shows how the doctors were more responsible than the assassin in killing the president. As I found out from talking to a nurse, they still study the way the doctors cared for President Garfield in order to learn how not to treat a patient. As a staunch abolitionist, he entered the Civil War as a lieutenant colonel, from which rank he would rise to Major General. Having served two years and made famous by his victory at Middle Creek in Kentucky, Lincoln personally requested him to run for a seat in Congress, which he won without difficulty. Both during and after the war, he supported the rights of freedmen, and became known as one of the greatest orators of the period. Upon several of his colleagues’ insistence, he ran for Senate in a victorious campaign only costing $150 dollars. 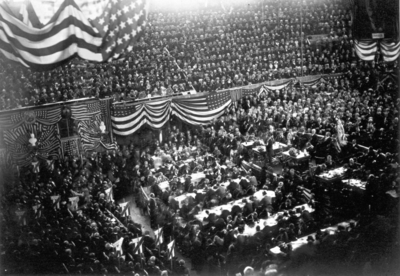 To top off his illustrious political career, the Republican party elected him their candidate against his wishes during the heavily contested convention of 1880. Garfield, having seen presidential ambition ruin so many, wished to have nothing to do with this office. He went to this convention supporting James G. Blaine, a fellow Senator from Maine, against Ulysses S Grant (now running for a third term) and John Sherman. Blaine decided to throw his support behind Garfield after realizing that none of the top contenders had a chance to win the majority needed for nomination. 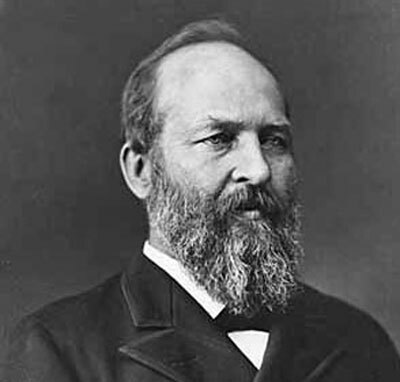 With Blaine’s support and the Republicans tired of the stalemate, Garfield, much to his horror, was established as the Republican candidate. Though presidential candidates at this point in time did not do their own campaigning, Garfield gave several speeches at his farm to the crowds who would visit him. One of these speeches was delivered in German to some immigrants from that country, making him the first presidential candidate to give a speech in a foreign language. Though winning the popular vote only by 7,000 votes, the final electoral vote count was 214 to 155 in Garfield’s favor. Unfortunately for this talented and magnanimous individual, his presidency would be short-lived. 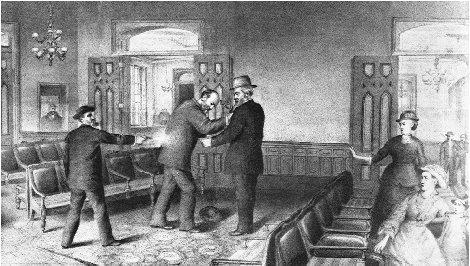 The insane Charles Guiteau, enraged at not being selected as Ambassador to Paris, shot Garfield believing that God wanted him to do this for the good of the country and the Republican Party. This shooting need not have brought about Garfield’s death. An autopsy later revealed that fat had enveloped the bullet, preventing it from causing further harm to the body and indicating that the bacteria introduced through the doctor’s treatment had caused Garfield to develop septicemia. Millard observed that if they had simply put a band aid over the wound and did not do anything further (As Theodore Roosevelt, having read about the results of Garfield’s medical treatment, told his doctor to do after he was shot in his third presidential campaign), Garfield would have likely lived. But, I would like to emphasize how well-written this work is. Whether Millard describes the biographies of those involved, medical practice at the time, or the political conditions, the narrative moves very smoothly. It requires discipline to put the work down. So filled is it with interesting details–for example how Alexander Graham attempted to create an invention to find the bullet so that the doctors could quickly remove it–that even people who do not profess any fondness for history would enjoy it. Now, I really have to pick up her prior work on Theodore Roosevelt’s hunting trip to the Amazon entitled River of Doubt. I promised an article on Candice Millard’s Destiny of the Republic. I felt that it was most appropriate on this blog, which features several writers who are superior to me. I hope that you enjoy this article and that a few others catch your eye.